Welcome to the Santa Monica Conservatory of Music. Since 2002, we are proud to have been providing high quality music instruction for children and adults alike in Santa Monica and the Westside communities. Our commitment to this community has also grown every year, with outreach, donations, scholarships, and free family concerts open to the public. The success of our students has been phenomenal, and due to the demand for our services, we expanded in 2011 into 4000 sq.ft. creative space at 15th St. and Colorado Ave. Here we have 28 instructors, many with doctorate degrees that provide excellent instruction in every orchestral instrument as well as piano, guitar, and voice and Jazz. Easy and safe drop-off /pick-up with ample street parking. Many of the greatest hearts and minds in human history were privileged as children with an education in music. And the benefits of music making in our youth are evermore heralded by the experts as decisive during every child’s development. If as a parent you’ve made the decision to invest in a musical education for your child, you should know that we at the Conservatory have found that there exists a great disparity in the private lesson marketplace, in the quality of lessons, and in the return on that investment of time, commitment, and resources. Students are better able to focus, learn, absorb and retain their music instruction in a professionally dedicated learning environment than anywhere else. Homes, apartments and the all two common grungy music store are not usually considered as such. Likewise, music teachers will privately admit that they also teach better in professional spaces. 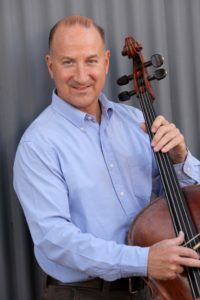 As a 7-year-old cello student my first lessons were in a home, but then both the quality of my lessons as well as my playing drastically improved when I upgraded to a teacher at a school. Now, as a father and a teacher, I see this to be true even with my own two children, the few times I’ve tried to teach them music lessons in our home.